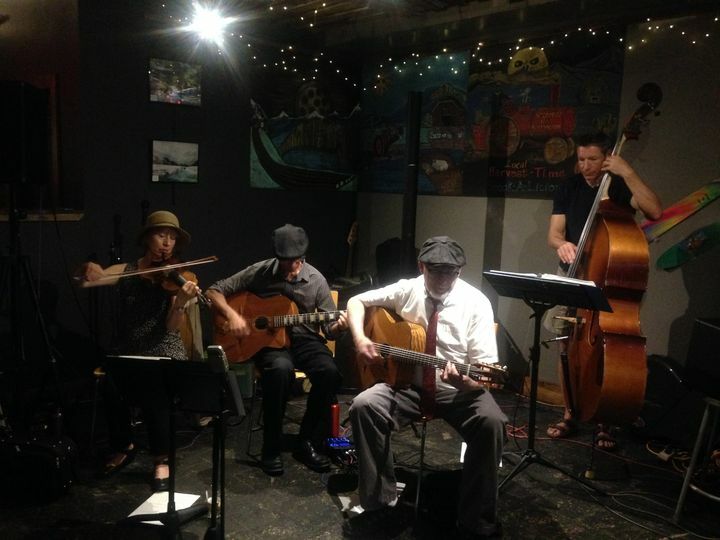 We perform jazzy instrumental music as a duo, trio, or quartet, in the style of Django Reinhardt and the Hot Club of France. 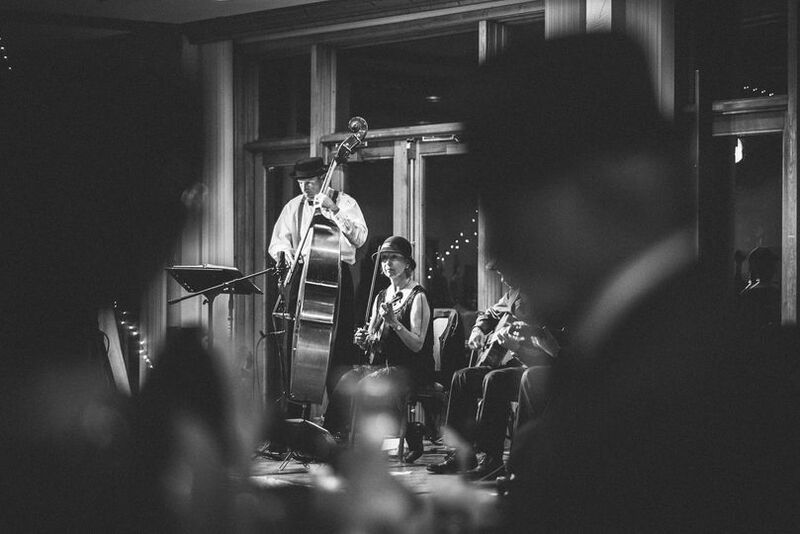 As they await the beginning of your ceremony, our prelude music will put your guests in a festive mood. 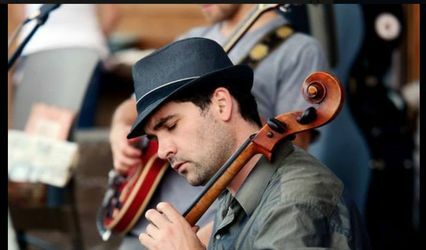 We offer beautiful instrumental jazz selections (such as "Night and Day", "Blue Skies", "Honeysuckle Rose", "It Had to be You", "Moonglow", "Georgia on my Mind", "Moon Dance", "Dream a Little Dream of Me") for the time prior to the processionals. 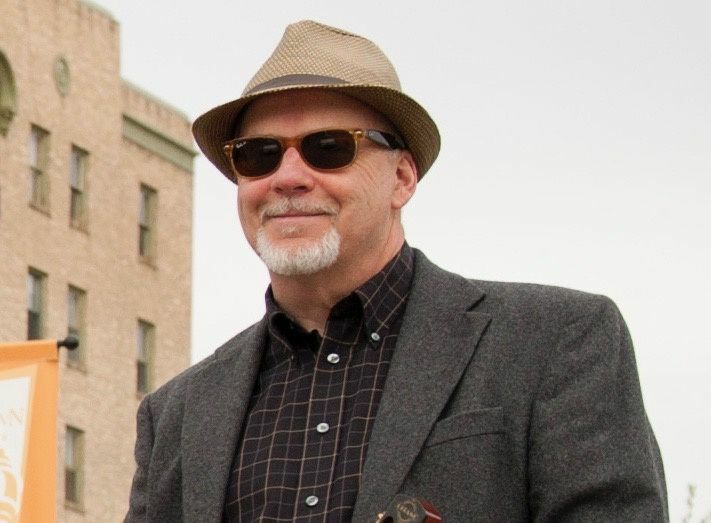 For the wedding party and bridal processionals and recessionals, we offer either beautiful melodies with a Celtic/Americana flavor, or slower jazz melodies. We are happy to provide samples of our processional/recessional music, and you can choose what is best for your ceremony. 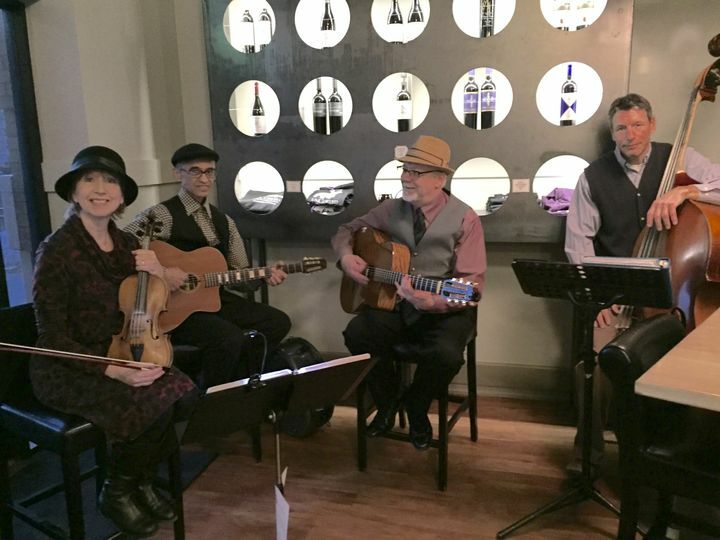 For cocktail hour music, you and your guests will enjoy our fun and lively Gypsy Jazz tunes. And we have a long list of tunes that work perfectly for swing dancers! 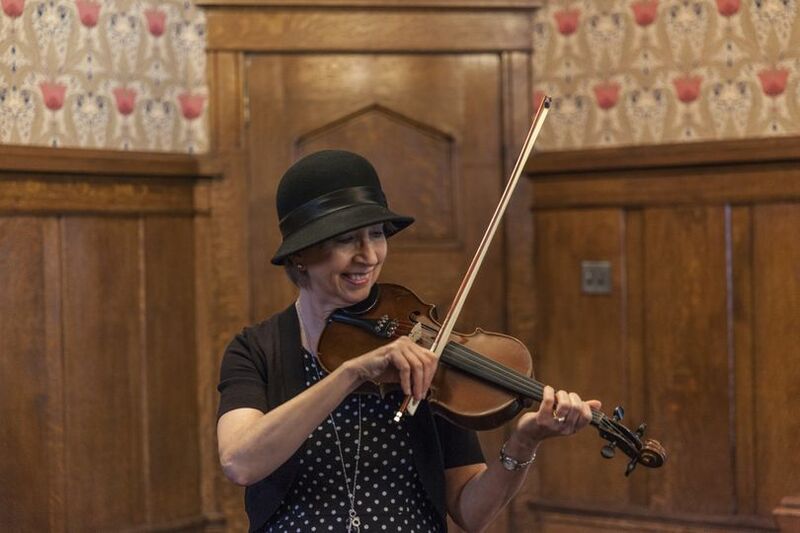 Our music is joyful and elegant - just right for your special occasion! "A huge thank you to you and the band for making our day even more unforgettable. 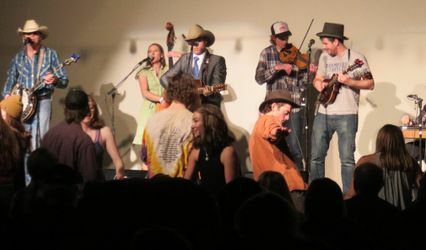 The music was amazing and we had so many compliments." Please visit our website (montanamanouche.com) to read more reviews. 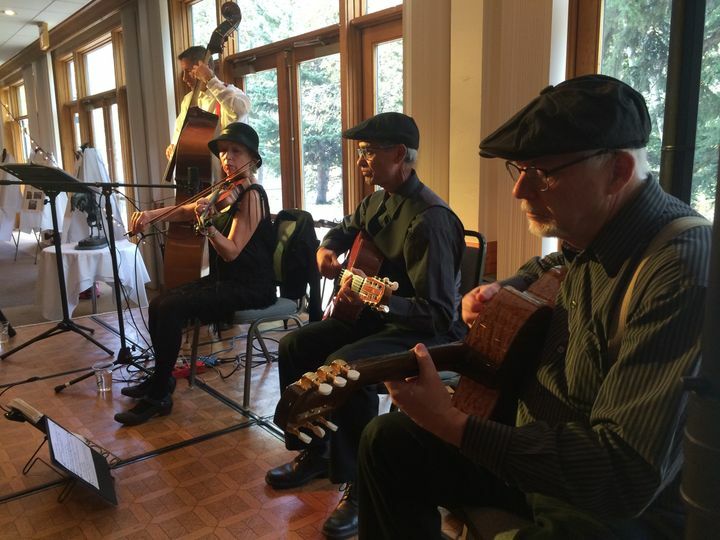 Montana Manouche played at a banquet we held... they were incredible! They play a unique genre of music-- gypsy jazz-- that literally "carries one away"... it is delightful! They are great musicians and wonderful to work with. 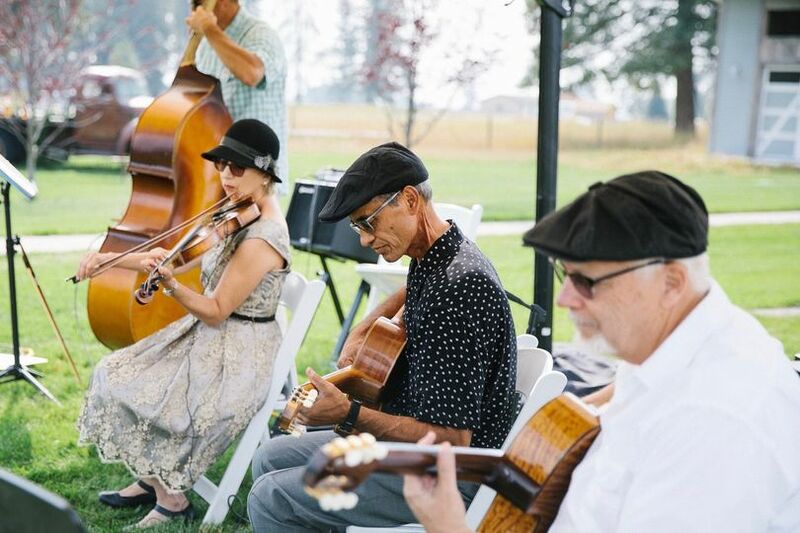 Montana Manouche played our wedding in Chico Hot Springs. The music was wonderful! 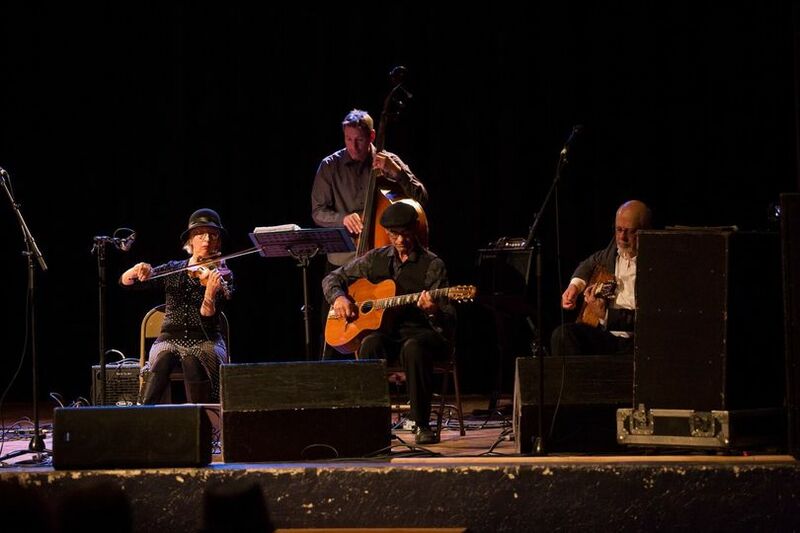 The gypsy jazz style and songs were perfect for our event and guests. We received so many great comments from our family, guests and staff. 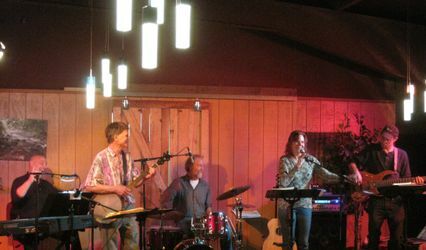 And, Nancy and the band were so good to work with. We would love to see them again, and highly recommend them. Thank you so much! Carl, thanks so much! We had a wonderful time playing for your wedding. It was especially fun to have you sit in with us on a few tunes! Great playing! Congrats to you and your lovely bride, and we hope our paths will cross again someday soon! 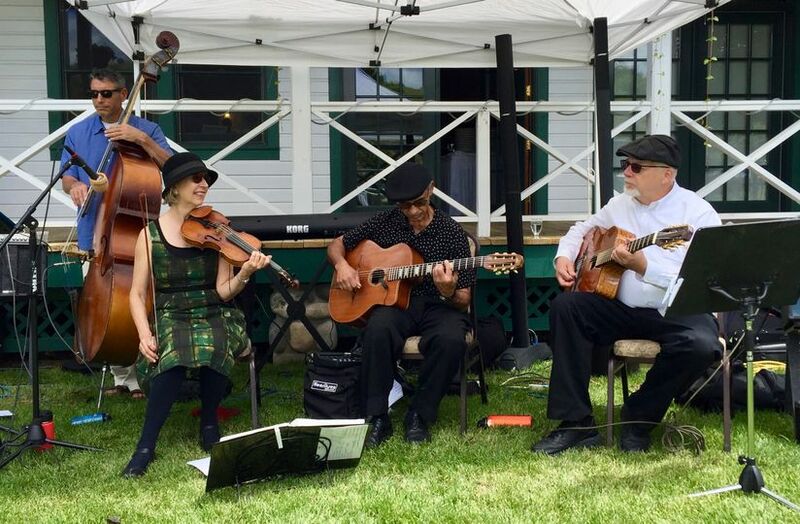 Montana Manouche did exactly what they said they would do and the music was perfect for our wedding at 320 Ranch. Don't hesitate to hire them and relax because you won't have to worry about anything.